The exchange sets the tone for the romantic track in the movie. L.B. ‘Jeff’ Jeffries (James Stewart) is a sports photographer, bound to a wheelchair because he broke his leg while trying to photograph on a racetrack. He is dismissive of his girlfriend Lisa Fremont (Grace Kelly) because he finds her too glamorous (and therefore, a bimbo) for his line of work and Spartan lifestyle. Stuck in his chair, Jeff spends most of his time watching his neighbours in the apartment opposite his flat, and becomes entangled in the lives and intimate secrets of its occupants. Although admonished by his caretaker Stella (Thelma Ritter) who calls him a Peeping Tom, Jeff is unable to let go of his obsession with the lives of others. The names he gives his neighbors are generic: The Newlywed, Miss Lonelyhearts, Miss Torso, The Songwriter, et al. The French film critics called Hitchcock an ‘auteur’. This means that the director had a distinct and recognizable style of filmmaking, and very few directors can claim to have a more distinct style than Alfred Hitchcock. Rarely will you find a professional criminal or a detective hero in his films. His plots are nuanced, his leading men are average citizens caught in extraordinary situations, and his heroines—-mostly blondes—-are absolute stunners. And crime in Hitchcock is always a Mac Guffin (the director’s term for a mere pretext) for something cinematically more interesting. 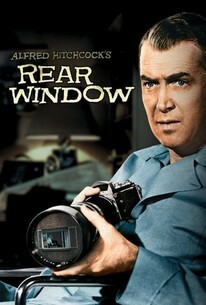 Sure, there is a murder in Rear Window, but it is meant to set the stage for things Hitchcock was more interested in. This was one of the last films of Grace Kelly, before she called it quits after marrying Prince Rainier of Monaco. The ace costume designer Edith Head did Kelly’s wardrobe. The film was remade in 1998 with Christopher Reeve and Daryl Hannah. A perfect date movie, 60s style. Robert Talbot (Rock Hudson) is an American tycoon who meets his Italian ladylove, Lisa Fellini (Gina Lolobrigida) once a year, every September. Their annual rendezvous takes place in Robert’s splendid villa on an Italian coast. While Robert is happy with this arrangement, Liza gets increasingly impatient and wants a more abiding commitment. There are complications, lovers’ tiffs and battle of wits. You can’t but help notice the crackling chemistry between Hudson and Lolobrigida, where both stars embody Hollywood glamour. As a rom-com, the conventions of the genre are in place: picturesque locations, witty dialogues (with loads of double entendre) and a predictable climax, leading to a happily ever after. 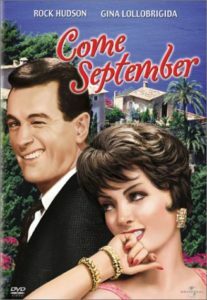 The film has a timeless score, and the ‘Come September’ theme music is one of the most recognizable soundtracks of all time. Also starring Sandra Dee and the teen pop idol, Bobby Darin. 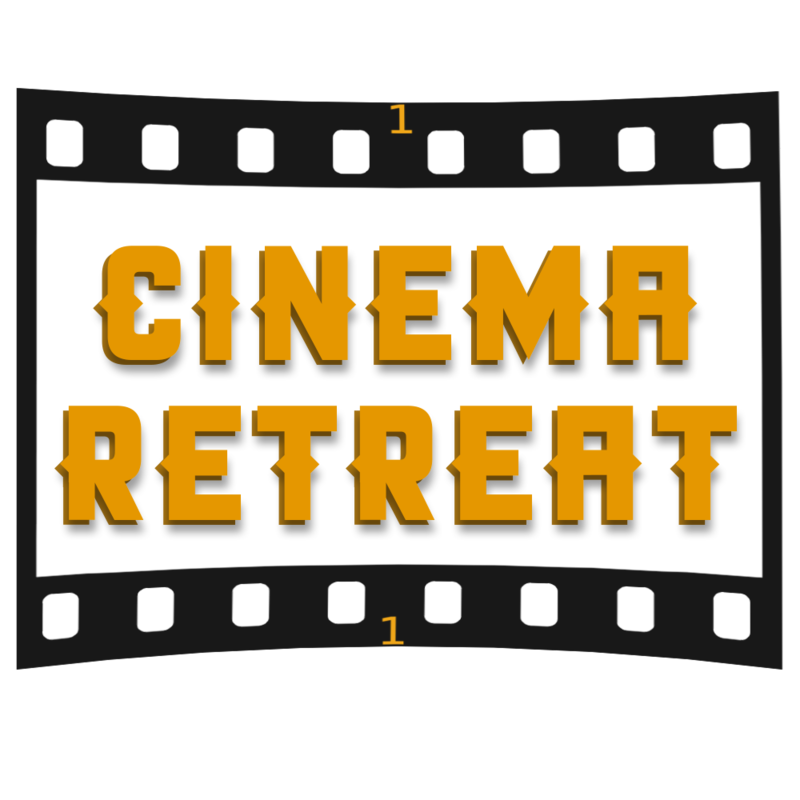 The film’s basic premise, that of a manager turning the wealthy hero’s villa into a resort hotel during his absence, has lent itself to several Bollywood musicals of the sixties, including Shammi Kapoor’s Kashmir ki Kali. 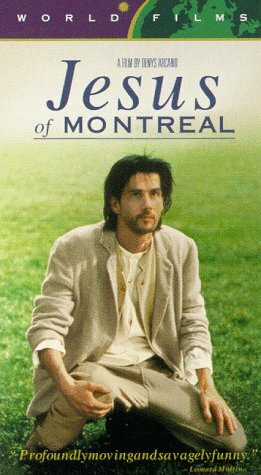 Life imitates ‘The Book’ in Denys Arcand’s Jesus of Montreal. Set in contemporary Montreal, the plot is about an avant garde actor, Daniel (Lothaire Bluteau) leading an unlikely cast of actors to stage a Passion play. The group soon starts identifying strongly with their characters, and tries to question traditional religious assumptions. As the lines between the act and the text start getting blurred, the local authorities become uncomfortable, leading to an astonishing climax. Lothaire Bluteau, one of the most well known actors from French-speaking Canada, makes a convincing Jesus. Cinematography is outstanding, especially in the candle lit scenes of the performance on the subway. Brimming with wit and satire, Jesus of Montreal also experiments with the form by following the Brechtian device of breaking the fourth wall. The film deservedly won the Grand Prix at the Cannes Film Festival (1989) and was also nominated for an Academy Award for Best Foreign in 1990. Bollywood’s Rang De Basanti (2006) was loosely based on this film. 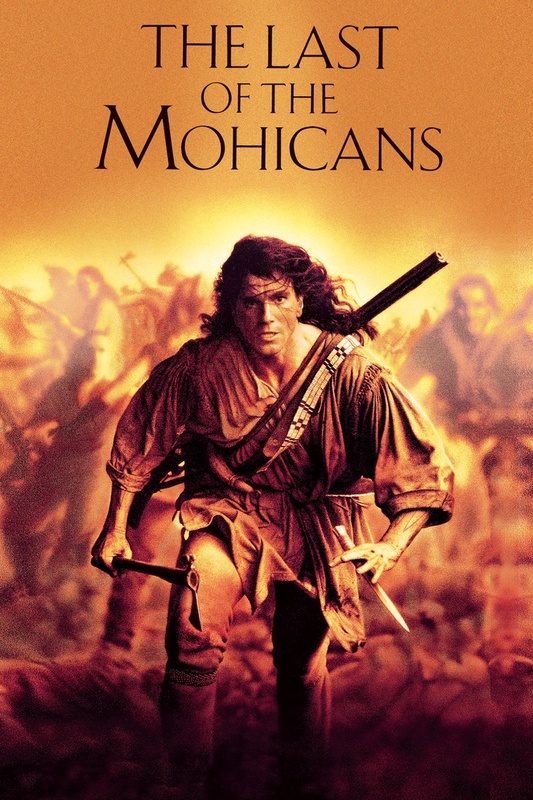 Breathtaking locales, attention to period details, thrilling action—The Last of the Mohicans has it all. Based on James Fennimore Cooper’s novel, the plot is set in the 18th century America when France and England battle for colonizing the ‘New World’. Daniel Day-Lewis is ‘Hawk Eye’, the white man brought up by a Native American family. In one of the many battles between the French and the English army, he saves the English General’s daughter, the beautiful Cora Munro (Madeline Stowe in her career defining role) and sweeps her off her feet. The film is remarkable for its authentic look, which includes sets and costumes, and an array of Native American cast. In Day-Lewis’ biography The Fire Within, we are told that the actor practiced hunting with an 18th century rifle and stood in the hot sun for hours to get the posture of his character right. The result is spectacular on screen. Apart from a great action movie, this is also one compelling love story. Daniel Day-Lewis’ lines to Cora, ‘Stay alive….No matter where you go, I will find you,’ became a universal romantic anthem (see, for example, how the line is used in Gone Girl), and is the stuff a Yash Chopra film is made of. There are historical inaccuracies, but this is not meant to be a history lesson. 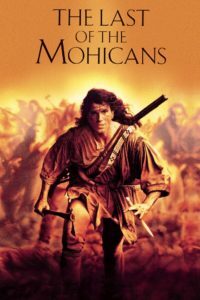 More than anything else, The Last of the Mohicans is super entertaining. Also noteworthy is its epic score by Trevor Jones, rated among the top soundtracks of all time. Think Michael Douglas and we get sharp suits, slick hair and the gravelly voice. The star excels in roles where he plays a man of authority and control. Here, he is Andrew Shepherd, the eponymous executive; also a widower father occupying the White House. The President meets an environmental lobbyist named Sydney Ellen Wade (Annette Bening), and would like her to be his companion at a state dinner. This may sound simple, but is not really so when you are the most powerful man in the world. Oval Office is now no longer merely the place to discuss serious issues of national importance, but also the space where the presidential team has to mull over matters such as how does the President pay for the flowers through his credit, and where does he take a woman on a date. What could have been a run-of-the mill Valentine’s Day movie becomes a blend of romance, comedy and politics. It is also one of those few films where the characters’ political ideology is clearly spelt out, and anticipates several liberal points of view down the years. This is best crystallized in Douglas’ ‘America isn’t easy’ speech. Listen to it carefully and you will marvel at the way it resonates with the current times. And all this is largely because of the flawless screenplay by Aaron Sorkin, who bestows the necessary gravitas and moral authority for the presidency. In fact, Sorkin’s work was so appreciated that he came up with the almost definitive political drama in The West Wing. (Those interested in Sorkin’s political beliefs, should read his letter to his daughter after Trump was elected President). 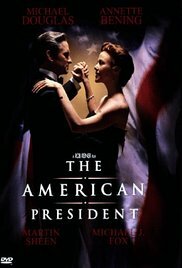 The American President is elegant and intelligent, with huge doses of romance. It’s not just the charismatic lead pair that enthralls here. The film has some of the best Hollywood stars in supporting, yet very substantial roles: Michael J. Fox, Martin Sheen and Richard Dreyfuss.